Google Chrome is the king of web browsers but if you’re here it’s probably because the king has gone a bit insane. Is Chrome running slow, crashing, freezing, or not even loading? Are web pages not loading anymore? Is your browser experience getting slower every day? If you’re experiencing any of those Chrome problems, you’ve come to the right place. We’re going to show you how to troubleshoot and resolve common Chrome problems that make you feel like Google hates Macs. Some fixes will be easier than others but none require advanced knowledge. If you’re ready to fix Chrome, let’s begin! Is it your Mac or Chrome that is slow? Chrome isn’t an independent entity, it’s part of a whole Mac ecosystem. So before you deal with Chrome, make sure the problem isn’t in your macOS. A quick example — the outdated system caches causing your Chrome plugins to crash. Or is your Mac gasping for free space? A clever path is to give your macOS a good cleanup. We like CleanMyMac app for this purpose as it finds and cleans all redundant & conflicting files across all your folders. 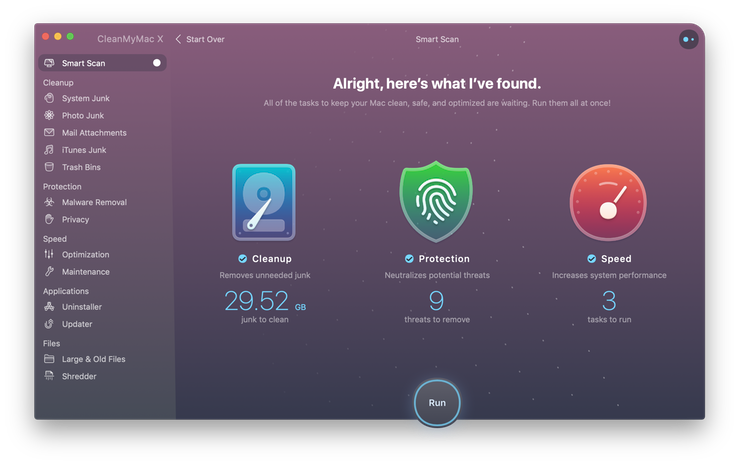 So, take 2 minutes to tidy up your Mac with CleanMyMac and let’s move further. Chrome is known for its fast performance, which it gets by using your Mac’s CPU more than other browsers. But more CPU usage means more battery drain. If you use your laptop on the go, this can become a huge issue. What good is performance if your battery is completely drained and you can’t turn on your Mac? If Mac battery life is important to you, then there’s a simple trick that should be a big help. Often there is a tab or an extension that is hogging your resources and burning through your battery life by itself. Open Chrome and click on the Settings icon (three lines on top of each other). Click on More Tools > Task Manager. In Task Manager click the Memory column to sort them. Now you can determine what sites and extensions use up the most memory in Chrome. You can still visit one of these sites but maybe don’t leave it open in a tab anymore. Also remember that even sites that aren’t memory hogs can still be a battery drain if you have a lot of tabs open. Close resource-hungry and unnecessary tabs and the time you get from a battery charge should start to improve. Does Chrome on your Mac feel like browsing through a swamp? If browser responsiveness is slowing, it’s time to drain the swamp. Why is Google Chrome so slow? We mentioned earlier that Chrome is resource-heavy, especially on your CPU. Chrome is fast when your Mac has the resources available, but when they are limited, and Chrome is demanding more than your Mac can give – swamp time. The tip from Mac Battery Draining Fast will help a lot, but if you’re still experiencing slowness, there are other fixes you can turn to. Let’s start by focusing on cache. Chrome loves storing lots of your web browsing data. At first, it can help speed things along, but soon Chrome’s pockets are being weighed down by cache, particularly if your Mac is low on space or memory. Open Chrome and go to Settings > More Tools > Clear Browsing Data. 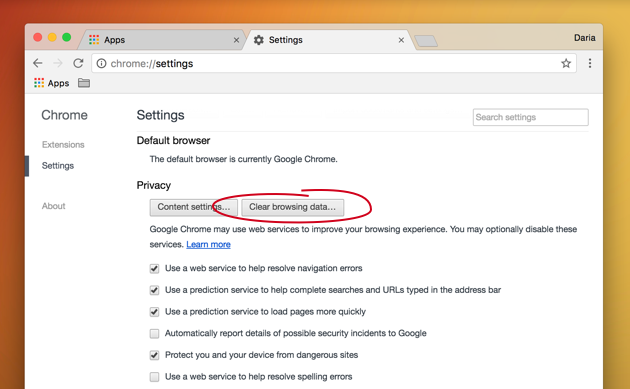 Check the history, cache, cookie and other types of browser data that you want to delete. Again, there’s another method for clearing out your cache, cookies, browser history, autofill form data and a whole lot more. You can use CleanMyMac X. There’s surely no easier way to manage not just the cache that’s slowing down Chrome, but also your privacy and security — if these things are important to you (they should be). Go to the Privacy tab and select Chrome. Select what you want the app to clean from your system. Or you can even use CleanMyMac’s System Junk cleanup tool that not only removes Chrome cache files, it also gets rid of “temporary” files that clog up your system. By the way, you can download CleanMyMac for free and try it. A better performing Mac and a better performing Chrome all in one go. Your browser is not just slow as a snail but keeps freezing? A spinning circle appears for a while? This is an ordinary trouble with web browsers after continued use. And it may relate to the problem with the browser cache. We've already told you how to remove the Chrome cache, so just go to the previous section and choose the way that works best for you: manual or easy one. Hopefully, this will help you to get rid of the spinning beach ball and fix the freezing issue. However, if your browser is not responding at all and you can't open the menu to clear the cache, browsing history, or delete extensions, try to force quit Chrome and then launch it again. There are a few possible ways to force quit Google Chrome. Here is our comprehensive guide "How to force quit Mac applications" that offers five different ways to deal with the unresponsive apps. Pick your favorite one. Chrome freezing is one thing but crashing? That’s a much bigger issue as it’s a sign that something is broken. But what do we do with things that are broken around here? We fix them! 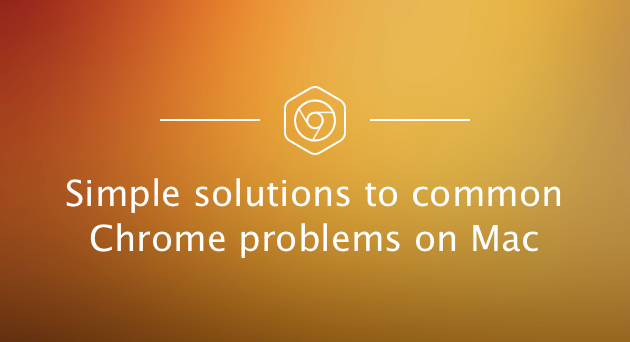 Probably the most common cause of crashes is a byproduct of one of Chrome’s strengths – its constant stream of exciting extensions. They make our browser experience more enjoyable and productive, but occasionally one of these extensions will be corrupted or introduce a bug that causes Chrome to crash. Here’s what you should do to find a problematic Chrome extension. Update everything. Make sure Chrome is updated to the latest version as well as each extension that you use. A new update could very well include the fix that will stop Chrome crashing. If that didn’t work or everything was already up-to-date, you can manually turn off your extensions and turn them back on, one at a time. This way, if the crashing goes away until a certain extension is turned back on – that’s when you’ve probably found the problem. Open Chrome and go to Settings > Extensions. Disable all the extensions by unchecking them. 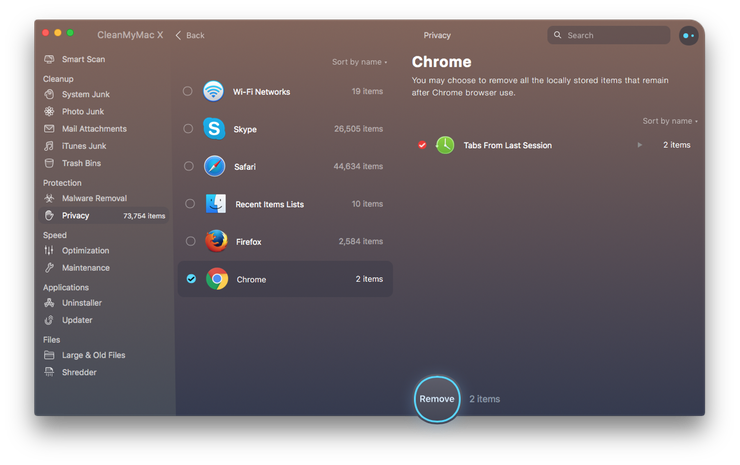 An even easier way to manage your extensions is with CleanMyMac X. You get more control over all your extensions, even those from other browsers, and disabling and removing them is as easy as can be. 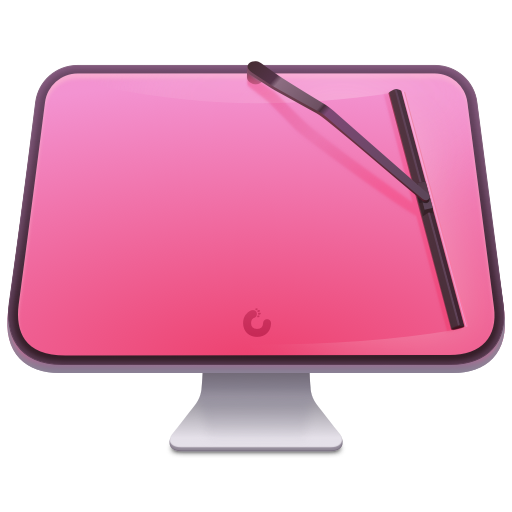 Click on the Extensions tab in CleanMyMac. Click on Chrome Extensions and disable as you like. This is Chrome’s custom message for when a web page fails to load. If you get this cheeky little message or any other loading error, chances are you’re going to fail to see the funny side. The reasons for Chrome not loading pages can be wide-ranging and hard to pinpoint, but we’ve collected a checklist of fixes for you to work through. 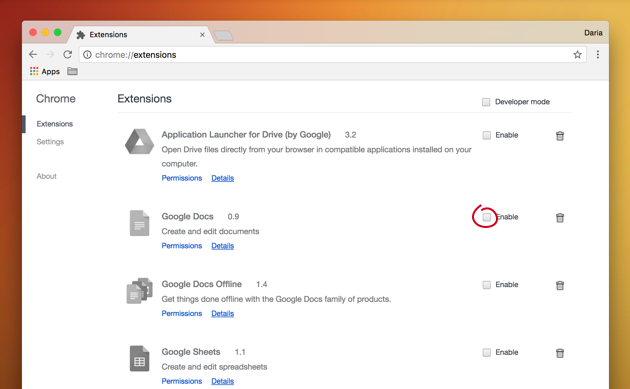 Remove Chrome extensions (for steps see Google Chrome Keeps Crashing). If you’re still unable to load web pages, a reset or reinstall of Chrome may be needed. We cover that very fix in the next section. Chrome won’t update? Some users have experienced the frustration of Chrome refusing to update on a Mac. The first step would just be patience, but if days have passed and you’re still not getting anywhere, a reset or reinstall of Chrome may be in order. Launch Chrome and go to Settings. Scroll to the bottom and click on Advanced Settings. Read the pop-up and Reset. Relaunch Chrome and try update. Note: Resetting Chrome will not remove your bookmarks, history, and saved passwords. A manual reset can be a bit scary, so why not use the reset function in CleanMyMac to make sure it’s done right? Go to Uninstaller > Google Chrome. Click Application Reset in dropdown menu next to Chrome icon. If the browser is still not updating, download the latest installation file from the web and reinstall Chrome. 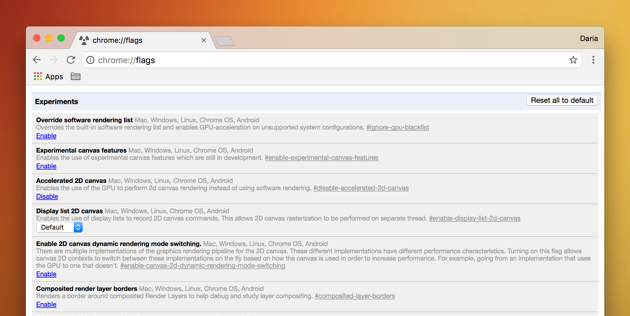 Your Chrome browser should now be running great, but wait; there’s more! 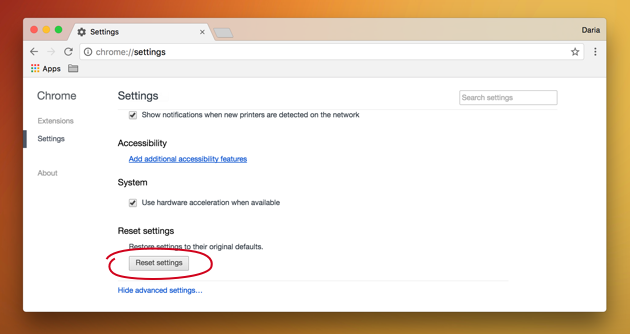 To improve your future browsing experience we’re sharing some of our favorite Chrome settings. Try these out and fall in love with Chrome even more. Want your web pages to load even faster? Go to Settings > Advanced Settings > Privacy and make sure “prefetch” is turned on. Now resources will be stored on your system to be loaded automatically next time a page is visited. 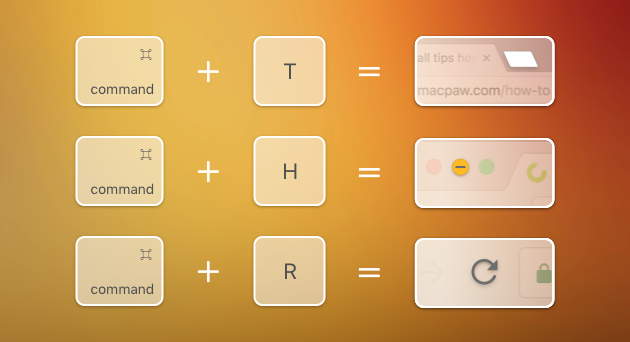 Get smooth scrolling by searching for enable-smooth-scrolling and turning it on. Find Number of Raster Threads and change from “default” to “4” to speed up image loading. Enable Experimental Canvas Features to boost page loading times. Note: Chrome must be restarted for the effects to take place. To undo these changes click “reset all to default” on the flags page. Okay, it’s not a setting, but you’d be amazed at how much faster you can surf the web and get things done by learning just a few key shortcuts. The full list of commands can be found at the official Google Chrome Support page. That’s it. Hopefully, these fixes have made your web surfing better than it’s ever been. It just goes to show that even drastic problems like Chrome crashing can be solved with a little know-how and helpful apps like CleanMyMac.